No-one knows your school or academy like you do. So who better to tell candidates exactly why your school is a great place to work? Our new videos allow you to do just that. They're affordable, effective and speak straight to the people you want to attract. Show potential candidates your great facilities, tell them about the school's ambitions, and let them hear what it's really like to work there from their future colleagues. The showcase option consists of 15 still images put together with a professional voiceover, royalty-free music and graphics. When you're recruiting the best staff from overseas, you don't just need to show people why your school is a great place to work. You need to show why they should move to another part of the world. 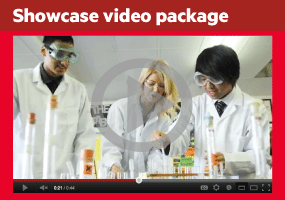 Wherever you're based, we can create a showcase video that attract the very best staff to your school. Each one-minute video is made up of 15 still images, so you can give candidates a real flavour of your culture, landscape and community. Showcase videos work perfectly as a suite - with one focusing on your school, one on the role and one on location.